Thoroughly combine the cream with the sugar, grapefruit zest and vanilla in a pan, bring to the boil, stirring continuously, reduce the liquid to around 350 ml, remove the pan from the hob. Stir the gelatine in to the hot liquid, mix in the crème fraîche, pour through the sieve into a measuring jug, pour into the prepared moulds, leave to cool. Cover and leave to set in the fridge for approx. 4 hrs. Slice off the top and bottom of the grapefruit, then peel all round the fruit down to the flesh. Using a sharp knife, cut out the segments between the white membranes and place the flesh in a bowl. In a small pan, boil the remaining grapefruit juice together with all the other ingredients up to and including the cloves, reduce for approx. 5 mins., pour the syrup over the segments and allow to stand for approx. 5 mins. 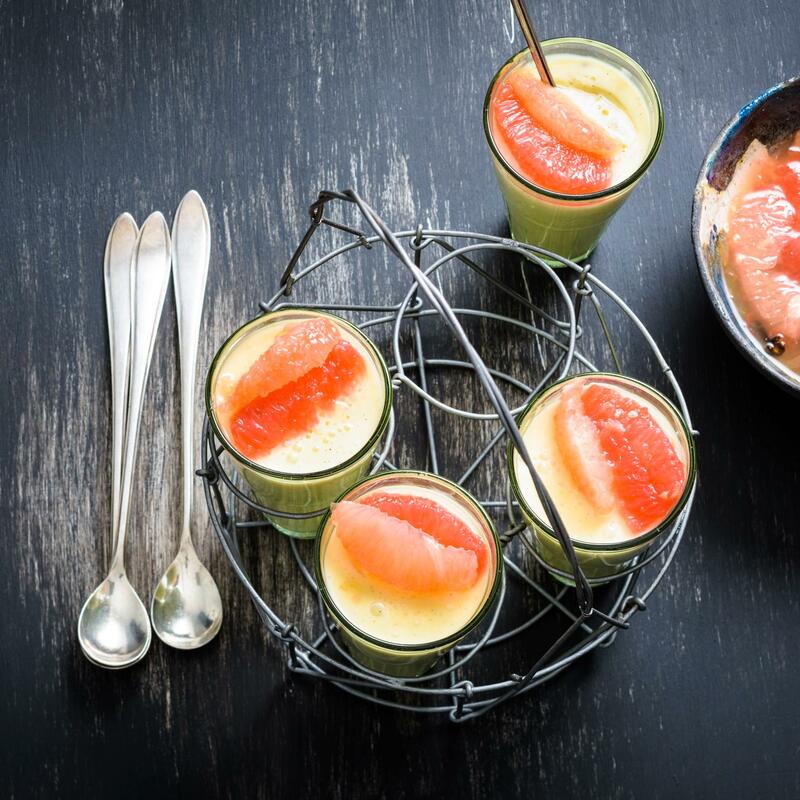 Serve the grapefruit segments and a little syrup on the panna cotta. The panna cotta should be very creamy and soft.